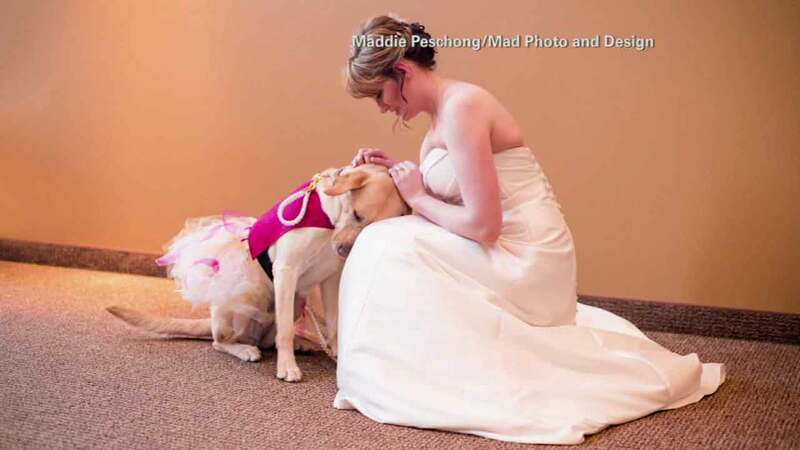 A service dog is seen calming a South Dakota bride before her wedding in an undated photo. SIOUX FALLS, SD -- A South Dakota bride is making headlines around the world, and it's all thanks to the special bond she shares with her service dog. The dog, Bella, is meant to help Valerie Parrott deal with stress and anxiety. A heartwarming photo of Bella calming Parrott before her wedding has gone viral. After getting so much positive feedback from Bella's work at the event, Valerie set up a blog to detail the life of a service dog team.